What is prednisone and why is it prescribed? What is the benefit? Weight gain and other side effects of this medication… what are the risks? The main benefit of prednisone is that it is a corticosteroid medication that is very effective in decreasing inflammation. Some common names of other corticosteroids like prednisone that might be more recognizable are cortisone and hydrocortisone. These medications have great potential in treating several conditions such as lupus skin rashes, skin rashes from other conditions, rheumatoid arthritis, asthma, and lupus. Corticosteroids mimic the cortisol action that is naturally produced in the body by the adrenal glands (these glands are located right on the top of the kidneys). Corticosteroids suppress your immune system, which can help control conditions like lupus, in which your immune system mistakenly attacks its own tissues. Prednisone is a glucocorticoid (chemicals that can stop inflammation) and plays an important role in regulating the functioning of the entire body. One of the most common topics, if you are following any of the social media boards like ours on Facebook, are the complaints about the undesirable symptoms caused by taking prednisone. You may hear much discussion about weight gain, “moon-face”, sleeplessness, uncontrollable hunger, bone weakness, dental problems and more. There are even jokes and cartoons made about these side-effects. But for someone dealing with them, they are no joking matter; although a bit of humor might be healthy a way to deal with any potentially troubling complications that may develop from prednisone usage. 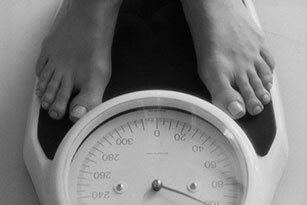 The truth is, prednisone can cause side effects, so it is important to weigh the benefits and risks. Keeping in mind that without prednisone, other symptoms may worsen. Tell your doctor if any of these symptoms are severe or do not go away. If your child is being treated with prednisone, the pace of growth and development may slow. This is something that you doctor will carefully monitor. It is very important to speak with your child’s physician about any of the risks involved in giving prednisone to your child. Prednisone can also increase the risk of developing osteoporosis which causes the bones to become brittle. This can occur with long-term prednisone therapy. A doctor will often recommend taking calcium supplements or may even prescribe medications such as Fosamax or Boniva. Drugs such as these can help maintain bone density and decrease the rate of deterioration. Speak with your doctor about the risks of taking prednisone and about things that you can do to decrease the chance that you will develop osteoporosis. By mouth: Tablets, capsules, or even syrups can help treat pain and inflammation associated with certain chronic and inflammatory conditions such as rheumatoid arthritis and lupus (SLE) It is usually directed to be taken with food one to four times a day or once every other day. Your doctor will probably tell you to take your dose(s) of prednisone at certain time(s) of day every day. Depending on the condition being treated, starting dosage of between 5mg and 60mg per day is not uncommon. Your personal dosing schedule will depend on your condition and on how you respond to treatment and will be set by your physician. It is very important to follow the directions on your prescription label carefully. Ask your doctor or pharmacist to explain any parts you do not fully understand. By injection: Steroid injections are used to treat the inflammation of small localized areas of the body (local injections) or they can be used to treat inflammation that is more widespread throughout the body (systemic injections). 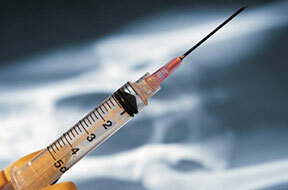 One benefit of cortisone injections, is that they can easily be administered right in the doctor’s office. Another benefit of corticosteroid injections is that the relief of localized inflammation in a particular body area (the hand, hip, or knee, for example) is much quicker and stronger than with traditional anti-inflammatory medications given orally (by mouth). A single injection also can lessen certain side effects, such as irritation of the stomach that often goes along with many oral anti-inflammatory medications. Systemic corticosteroid (for widespread inflammation) injections can be used for chronic conditions such as asthma, and joint pain stemming from conditions such as rheumatoid arthritis and lupus. By inhaler or nasal spray: This is a commonly used delivery system to treat asthma and nasal allergies. Topically: Corticosteroid creams and ointments can be used to treat various skin conditions and rashes. Infusion: Sometimes it is necessary for people to receive medication intravenously, or through the veins (also called IV infusions). IV steroids such as methylprednisolone (Solu-Medrol) or more commonly know as ‘pulse steroids’ are given to treat an acute or severe inflammatory attack also known as a flare. These medications are administered by an infusion pump in a process that usually takes 1-2 hours as a nurse monitors the patient’s vital signs. They are generally given daily for three to five days or as needed. This is a fast acting treatment with noticeable results in a short period of time. It can cause some side effects, so be sure to discuss this with your treating physician. If you are taking prednisone to treat a long-lasting chronic autoimmune disease like lupus, the medication may help control your inflammation and other symptoms but will not cure it. Take the time to share with your doctor and your pharmacist, any and all other medications (both prescription and non-prescription) and/or vitamins or other nutritional/herbal supplements that you are currently taking or planning on taking, in order to avoid any negative drug interactions. Some drugs and supplements, such as St. John’s Wort (most commonly used for depression and conditions that sometimes go along with depression such as anxiety, tiredness, loss of appetite and trouble sleeping) can decrease the effectiveness of prednisone. Do not have any vaccinations administered without first speaking with your doctor. Alert your doctor and pharmacist if you are allergic to prednisone, any other medications, including any of the inactive ingredients in prednisone tablets or solutions. Ask your doctor or pharmacist to provide a complete list of the inactive ingredients. Always inform your doctor of any allergies and all other medications or treatments before beginning any new medication. Take prednisone exactly as directed. Changing the dosage in any way without first consulting your physician can result in potentially harmful side effects. Call your doctor if you experience any unusual or concerning symptoms if you are decreasing your dosage of prednisone (under medical supervision) or after you stop taking the medication. Note- It is not a bad idea to carry a card or wear a bracelet with information explaining that you have recently stopped taking prednisone, in case you are unable to speak in a medical emergency. Continually review the dosage with the doctor to ensure that you are taking the lowest possible dosage that will still successfully manage your symptoms. Your dosage may also need adjusting if you are experiencing any unusual stress on your body such as surgery, dental work, illness, infection, or a severe asthma attack. By maintaining open communication with your doctor, you will be able to share if your symptoms improve or get worse, if you become sick or if there any changes in your health during your treatment. Many people may begin to feel better and want to cut back or even discontinue their dosage without first consulting their doctor. This can be very dangerous and should never be done. If you suddenly stop taking prednisone, your body may not have enough natural produced steroids to maintain normal function. This may cause symptoms such as joint pain, body aches, weakness, slowed movements, upset stomach, severe fatigue, weakness, weight loss, changes in skin color, sores in the mouth, and a craving for salt. Tapering (reducing the dosage) under medical supervision is possible but can take weeks or even months to do properly and should only be done under doctor supervision. Tell your physician if you have an eye infection now or have ever had eye infections that come and go and if you have or have ever had any of the following: thread-worms (a type of worm that can live inside the body); high blood pressure; mental illness; diabetes; myasthenia gravis (a condition in which the muscles become weak); osteoporosis (condition in which the bones become weak and fragile and can break easily); seizures; tuberculosis (TB); ulcers; or liver, kidney, intestinal, heart, or thyroid disease. Let you doctor know if you are pregnant, plan to become pregnant, or are breastfeeding. If you do become pregnant while taking prednisone, it is very important to call your doctor as soon as possible. Taking prednisone may decrease your ability to fight infection. Do your best to avoid people who are sick and wash your hands often. Be sure to avoid people who have chicken pox or measles. Call your doctor immediately if you think you may have been around someone who had chicken pox or measles. Prednisone has many benefits and has helped countless patients find relief from the symptoms of their diseases. Again, we cannot emphasize enough how important it is to speak with your physician about any risks involved in taking this medication and deciding whether the potential benefits may outweigh the possible negative side effects. Despite the fact that even taking prednisone for as little as a week might cause side effects such as insomnia; incredible hunger that leads to weight gain; facial swelling; agitation or anger; feeling hyper or, alternately, depressed and sluggish; and even a rise in blood sugar and/or blood pressure, physicians continue to prescribe prednisone. This drug, that makes some people feel awful with significant and unpleasant side effects, continues to be prescribed for one reason. It works. Steroids like prednisone get rid of inflammation in the body effectively and dramatically. Before the widespread use of prednisone, no effective treatments for conditions or illnesses such as lupus, severe psoriasis or other skin conditions, asthma, bacterial meningitis or even a serious cases of pneumonia existed. The bottom line is that patients need to weigh their concerns about prednisone against the severity of the medical condition that needs to be treated. 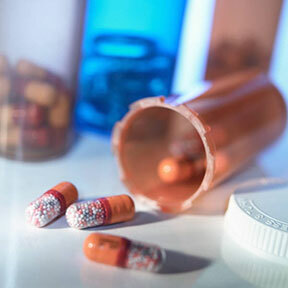 The undeniable fact is that prednisone offers several health benefits and can be most effective at reducing inflammation, but if you are thinking of taking prednisone, it is necessary to know the adverse effects that are associated with its use. Hopefully this blog has helped provide some understanding of the benefits and risks of prednisone use. We would love to hear your thoughts in the comment section below!